AST & Science (Avellan Space Technology & Science) has named satellite-industry veteran Chris Ivory to serve as chief commercial officer (CCO) and also chief executive officer (CEO) of the newly formed AST & Defense subsidiary. In addition, Ivory has been appointed U.S. general manager for NanoAvionics, a European satellite manufacturing company in which AST & Science acquired a controlling interest last year. In that role, he will spearhead NanoAvionics’ growing business in the Americas. AST&Science's just-named CEO and COO, Chris Ivory. Ivory has more than 26 years of senior-level experience in the satellite and telecommunications industry. Most recently, he was EVP and GM of commercial solutions for Globecomm. In that role, he served as business unit leader for satellite services across all commercial vertical market segments. Prior to joining Globecomm, Ivory served as VP of land solutions for Global Eagle and SVP of government, enterprise and channel partners for EMC. He also held leadership positions with several other telecommunications companies in the U.S., Mexico and Argentina. He earned a Bachelor of Arts degree from the State University of New York at Courtland and also studied at Universidad de Oviedo in Spain. 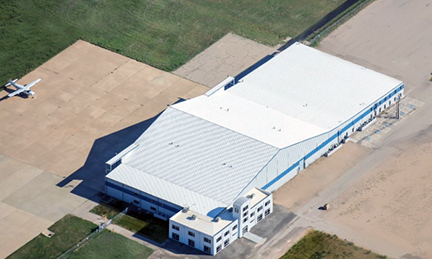 AST&Science's new facility in Midland, Texas. AST recently unveiled their plans to establish its $30 million corporate headquarters and manufacturing plant at the Space Port Business Park in Midland, Texas. The Midland plant will be one of the largest “NewSpace” high-volume manufacturing factories in the United States. Avellan said the company’s proprietary patented technology will enable high-volume production of low-cost, ultra-powerful, LEO satellite modules for commercial and defense applications. The company will commence manufacturing operations at Midland in 2019. 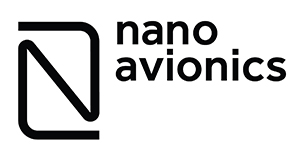 In April 2018, AST purchased a controlling interest in NanoAvionics, a European manufacturer and system integrator of nano-satellites. The company’s flagship multi-purpose M6P is the first preconfigured nanosatellite bus designed to serve emerging commercial space markets. Its core engineering team has implemented over 40 successful satellite missions during the last several years. Abel Avellan, chairman and CEO of AST & Science, said Ivory will develop and manage relationships with key customers and strategic partners worldwide, while also taking responsibility for all aspects of the company’s U.S. government business. He noted that Chris Ivory is a seasoned veteran and proven leader with a deep and broad understanding of the global satellite and telecommunications industry. He will play a pivotal role in steering our company’s growth as we move into commercialization of our technologies. For your consideration: the premier smallsat networking event is now less than two weeks away from opening the doors of the Computer History Museum in Silicon Valley for the SmallSat Symposium. Reach out to the many exhibitors, sponsors and supporting organizations who are participating in the SmallSat Symposium. Then register for the event to ensure you do not miss the opportunity to be a part of the smallsat industry's most significant business conference. The SmallSat Symposium is designed to help you make connections, find new leads, and build partnerships. Use this opportunity now to advance your knowledge and grab business success. Additional information regarding the SmallSat Symposium is readily available at this direct infolink... and register today to attend this major smallsat business event.